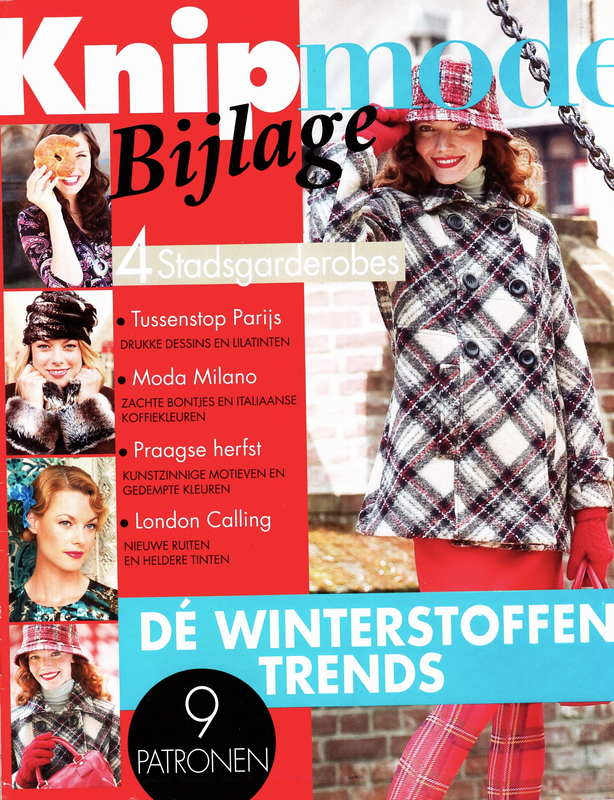 This pattern magazine covers the perfect fall/ winter capsule wardrobe in (adult) Knipmode sizes 34-46. There are 9 garments, some with variants, making a total of 14 individual styles. Some of them, like the tops, dresses and tunics could be carried forward through spring and summer either as is, or with small alterations to the length of the garment and/or sleeves. No spazzing out over the non-matchy-ness of the plaid. Focus, instead, on the yoked cardi-jacket above it. Wovens: Tunic dress, tunic blouse, A-line skirt, pencil skirt, mini-skirt, vest and yoked short coat. There is also a very cool pair of trousers that you might want to try out if you liked the jeans I made and want to test drive Knip’s trouser block for fit. 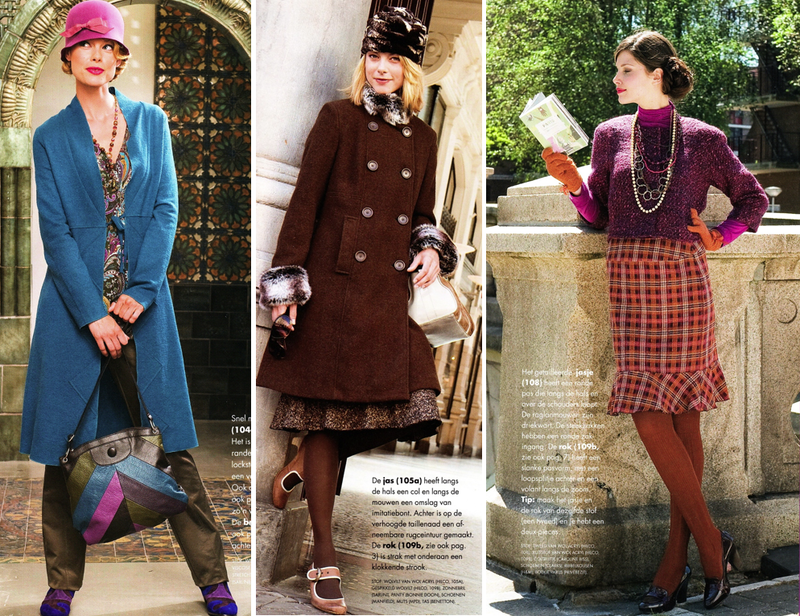 Knits: Dress, top/tunic, little jacket/ long cardigan, short/ long coats with overlapping fronts. Love that little jacket. Love. The long version of it is extreme left in the images above and below. The patterns are on glossy sheets attached to the centre of the zine and need to be detached and traced out (I use carbon paper and an adjustable, double wheel tracing implement from Clover to auto-magically add seam/hem allowances). International Addicts, L to R: Happy Pills/ Sugar Rush/ Buttplug (due respect to the last-given that those aren’t stretch pants). Like it? Do your thing. All images are used for purposes of discussion and illustration and remain copyright of their original owners.